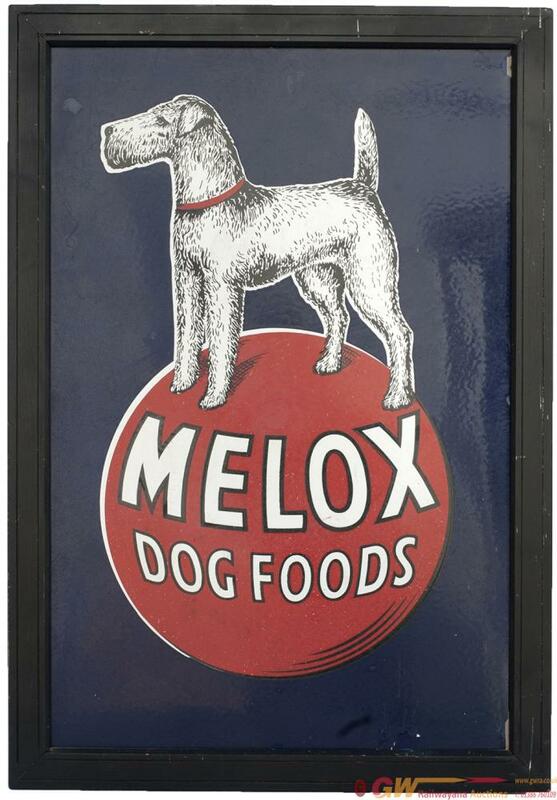 Advertising enamel sign MELLOX DOG FOODS. In very good condition with some restoration around the edge and in the centre. Has been framed for display, measures 22in x 32in.